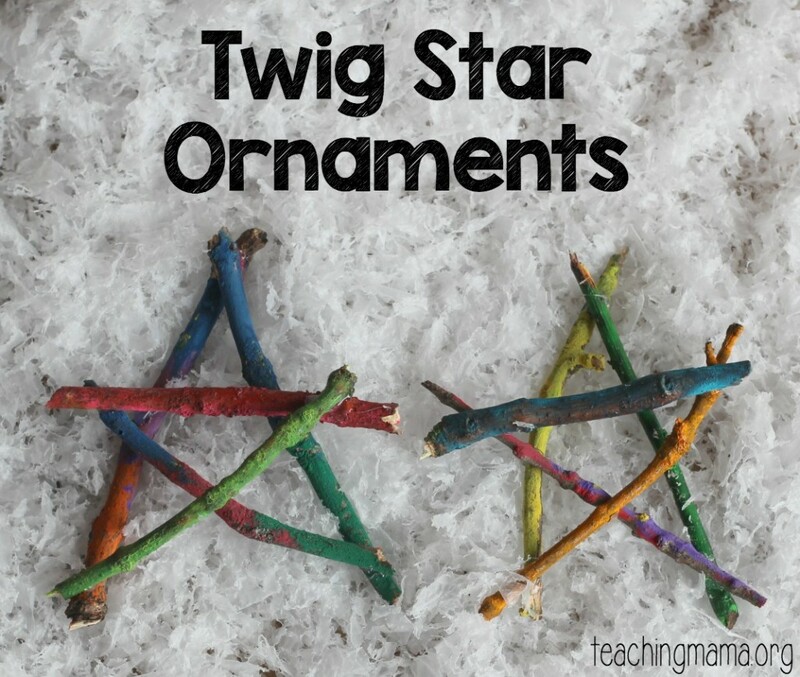 My kids and I had so much fun crafting these twig star ornaments for our Christmas tree this year! It’s always so nice to have the kids help with decorating the tree and they feel so special when have homemade ornaments to put up. 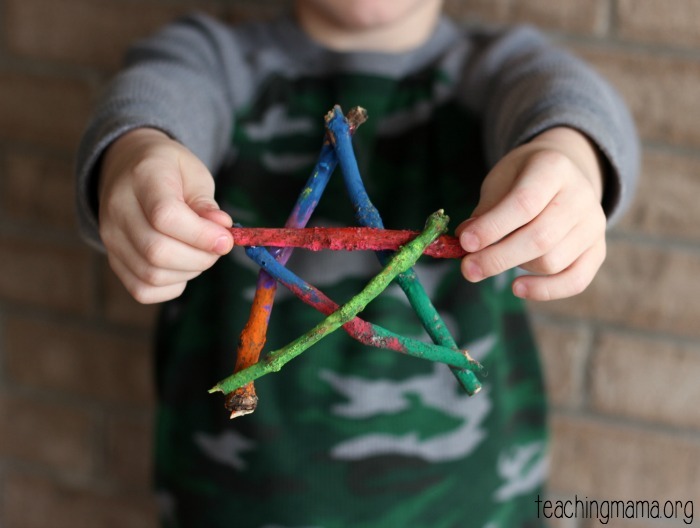 This is a really simple craft that your child will take great pride in! 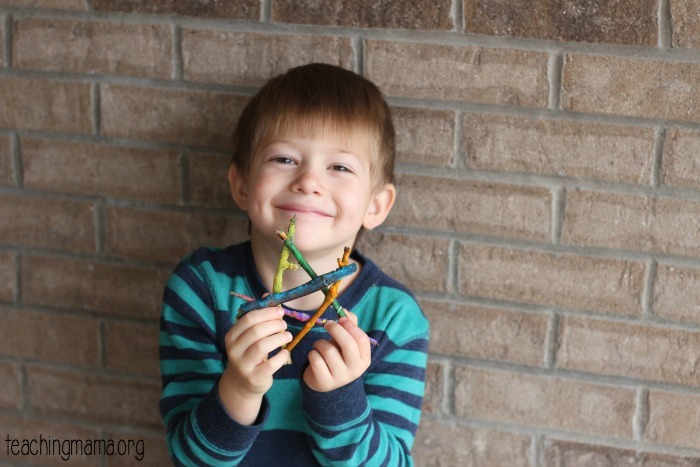 Start by having the kids collect twigs around the yard. Then cut or break them until they are about 5 inches long. Next, paint the twigs. You may have to paint one side, wait for it to dry, and then paint the other side. 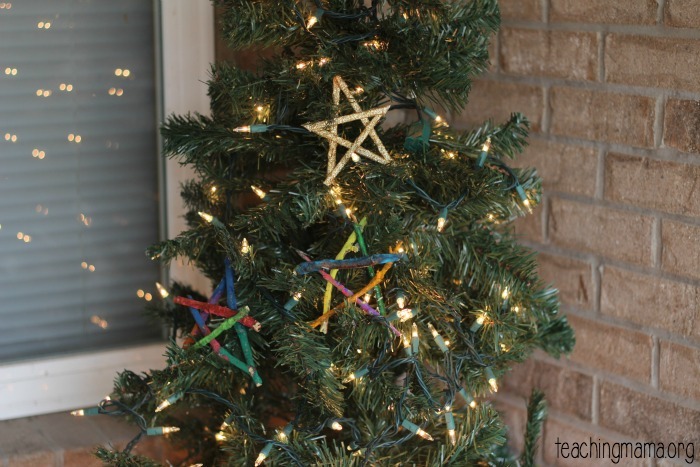 After they dry, lay them down in the star shape to make sure they line up correctly. 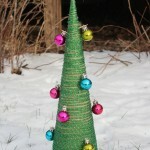 You can also trim the branches if they look a bit wonky. 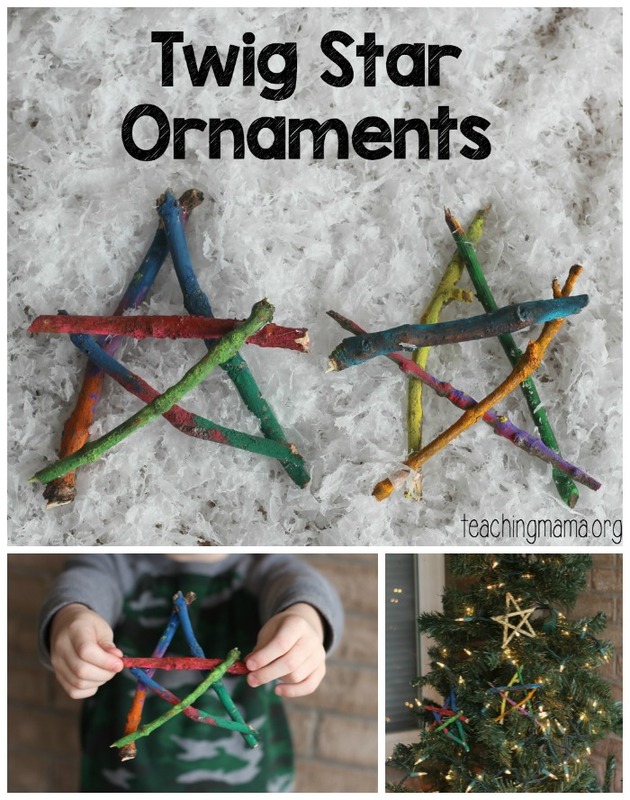 Next, use a hot glue gun to glue the twigs in place. 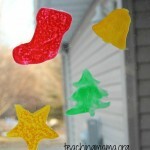 After it’s dry, hang it on the tree! 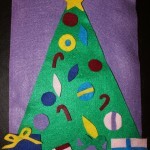 You can also put a ribbon on it to make it easier to put on the tree. I think they look lovely! 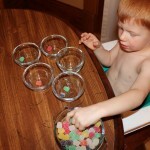 My little guys were very proud of their stars! They aren’t perfect, but that’s why I love them. 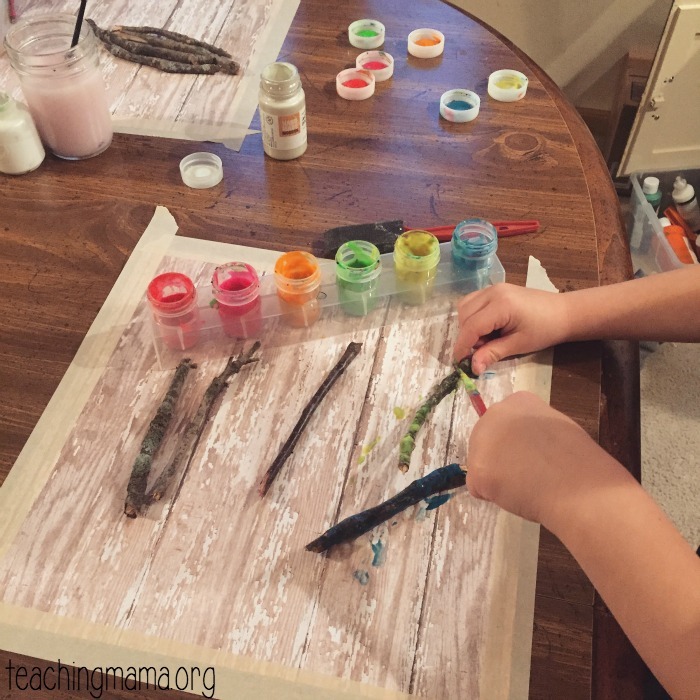 They are rustic, colorful, and very cheap to make! 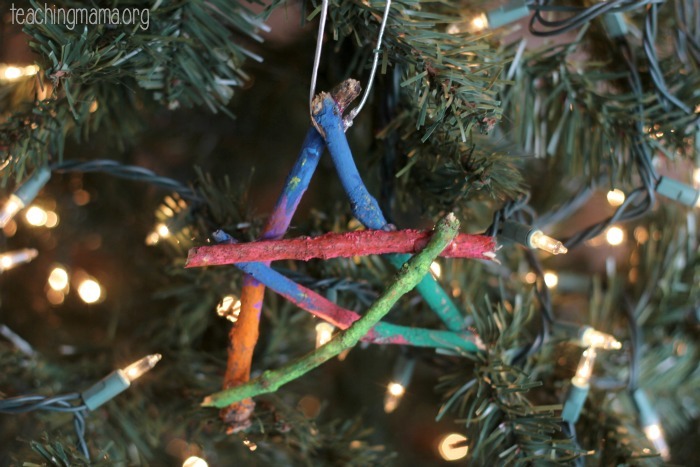 Hope you’ll try out this easy ornament craft this year! 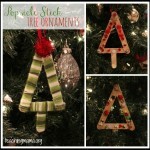 Stay tuned for my gold star washi tape ornament (in the above picture). I’ll be sharing the tutorial for it next week! 🙂 Merry Christmas!